The news train continues todays with another quick set of announcements as T-Mobile CTO Neville Ray took the stage today along CEO John Legere and announced three new modernized markets. T-Mobile customers in Seattle, Minneapolis and Atlanta are now refarmed and ready for the 1900MHz band. That marks 18 total markets for T-Mobile thus far, with more announcements expected before year’s end. With the announcement of the iPhone, T-Mobile is likely to quickly roll out more modernized markets to support a roll out in the coming months. Plenty of news today if you’re a fan of T-Mobile but there’s still more, so stay tuned! My wife’s iPhone has been getting 3G lately in the Minneapolis area! I’ve been noticing the same here in St. Cloud, MN. If you drive down from St. Cloud to the cities, there is no 3G on I-94 all the way until you are well inside Maple Grove! Nothing for 50 miles! When you say there is no 3G on I-94 did you mean 3G on the iPhone or a T-Mobile phone? I have a T-Mobile branded phone and it switches between HSPA+ and 3G but have not tested it on the iPhone. I have had excellent 4G on my SGS2 from Maple Grove to St. Cloud. But on my iPhone 5, I have only edge coverage – no 3 G all the way to St. Cloud. But St. Cloud to well past St. Joseph there is good 3G. The problem is with the refarming of the iPhone frequency of 1900 Mhz which is very spotty. When they say Minneapolis is completely refarmed, what does that exactly mean? What areas around the main area should we expect to have the refarmed network? They’ve refarmed the area, the 3G rollout is complete in that metro area and they’ve announced it. Time to move on and refarm the next city. Not everybody in every metro area are going to have 3G. Some people simply live too far away from the populated areas and those towers won’t be refarmed. It’s annnounced, the area is now done and if you don’t have 3G in your area then it’s probably not going to happen. I hope they will announce Philly before the end of the year. We are experiencing 3G on some areas already. Agreed. On a side note, their current 4g got really slow down there. They need to fix it. It’s definitely been increasing quite a bit over the past few weeks here in Seattle. But I’d definitely say it’s still spotty at best. Detroit has been turning up 2-3 Refarmed sites a day. I guess this is why I am seem better in building penetration for the past couple of weeks. Can’t waif for the full update to be completed here. I just verified 3 new sites will be live tonight in Detroit. One of those must be near my office in Sterling Heights. Earlier this week, I was pulling an average of 5 Mbps down, and I’ve just tested it today, and I’m averaging over 25 Mbps down. My VZW GS3 averaged less than 10 Mbps on LTE. I’m glad I’ve switched! Suburb of Boston and from Waltham, Watertown line all the way down the Mass Pike into Boston is completely refarmed to 1900 MHz. Every other day there are other sites popping up. This entire area will be ready very soon. Not only that but in my area they just bumped the speeds up by over 10MB. I was getting on average 13MB down, now as of the last few days my speeds have jumped to 24 – 27 MB down and around 5 -6 up. These are day time speeds in a high populated area with allot of local business in the area. T-Mobile in this area is just killing it. Thank You T-Mobile. That’s pretty awesome. I’m in Hyde Park/Boston and have no way of determining (other than airportal) if my area has been refarmed. I’m anxiously awaiting though. nothing in hyde park,jamaica plain,roxbury, mattapan or dorchester. Nothing at all at Logan airport either. Was just there last weekend. Then again – it’s not like people travelling who just arrived would want to use their phone or anything. Let’s keep Logan Airport running at 2G speed because nobody there would possibly want anything more than 0.08mps download speeds. I work for Adobe in Waltham right off Rte-128 near Totten Pond Road. I have *NEVER* seen 3G on my iPhone for even a split second. From the airportal.de website it looks like T-Mo covered the Mass Pike into Boston but 2-3 miles north of the Pike all along Rte-128 there is absolutely NOTHING. My wife works in Winchester – nothing but 2G there as well. Nothing at all along Rt128 from Waltham all the way up to Peabody. I work right off the Totten Pond Road exit and there is no 3G at all. Never even picked it up one for a second. My wife teaches in Winchester. Absolutely zero 3G there as well. The 128 corridor is one of the busiest places in the state and T-Mobile doesn’t have a single tower there with 3G. Sorry – but that’s the pathetic truth. Wow – they covered 8-10 miles along the Mass Pike and nowhere else in the state. I guess it’s time to announce MA and Boston as another “live market” – LOL! In the Houston area, 5.25Mbs up 1.71 down. pic.twitter.com/Ba4Cx1cG But ONLY in very small select areas of town. Come on T-Mobile lets do Chicago, defenitely getting an unlocked iphone 5 once Chicago is up and running to the faster speed, EDGE is so slooooow! They have definitely made progress in Chicago over the past few weeks. My wife’s iPhone 4S has been getting 3g in more areas; Loop, West Loop, River North, Midway. Users have reported on airportal.de quite a bit of Chicago is already up and running. Getting 3G on my 4S in Chicago west and south suburbs. A bit spotty but seems to be improving every day. The 3G signal seems to struggle indoors but I read that it is supposed to get better when finished. I had much better 3G coverage in downtown/northside Chicago this past weekend (maybe 60%) than I’ve gotten in Washington, D.C. (~30%), which was announced as “up and running” weeks ago. The Dallas/Fort Worth area would be much appreciated. Don’t worry… “the check is in the mail.” By 2014 Dallas/FW will be announced as a “live market” and if you park your car at the northern side of the Piggly Wiggly parking lot you’ll be able to get a signal from one of the 4 showers that have been upgraded to 3G. – LOL. ATLANTA!!!! GREAT JOB TMO!! KEEP UP THE GOOD WORK!!! Agreed. Im wondering if I can change my Nexus 4 to that band and get faster speeds since no one should really be on it. Anybody care to provide any input? When will Detroit get it? Detroit has it now, They are turning up new sites everyday. They will not announce Detroit until a certain amount of sites are done. Downtown Detroit is Live. I assume everyone who is posting about better signal inside buildings and giving their download numbers are using Iphones. Will this upgrade only help those people who have 1900mhz phones from another carrier? I’d like better in door signal but don’t know if it would improve for their current handsets. But refarming is not the same thing with iphone readiness if I remember corectly! I’m finding very little 1900 coverage on Capitol Hill. Wallingford and by CenturyLink Field, yes. I had Nexus 4 and drove to Spokane. Most of the time ,including time spent in Spokane, internet was Edge. Thus I called it quits . Got a 5 as a work phone on Verizon and call it the day! there are times when LTE is not showing on the 5 but that’s being picky. Maybe 5% of the times. What’s the point of unlimited internet on Tmobile if you are unable to get a decent speed? I get nothing but 2G everywhere I’ve been just a few miles outside of Boston on my iPhone. The download speeds are 0.08mbps. At this rate I need to download constantly on my phone 24/7 just to get a few gigs. I look at my online statement every month. At *most* I use maybe 20-30 Megs of data every month. Why??? (I can hear you ask). Because the rate is so darn slow that I hardly ever use it and when I do it’s basically for email because that’s all it’s good for. I’m getting great coverage on Beacon Hill, Rainier Valley (at least the part of it I go to — around the QFC and Lowe’s), University District, and the Northgate area. Seriously, I’ve gotten 3G pretty much everywhere for the last few days. However… I haven’t spent any time in Capitol Hill, Wallingford, etc. — so maybe I’m just lucky. I haven’t checked near the stadiums. Anyway, I have an iPhone 4 and things are looking good in Seattle these days from my perspective. LA is a big market yet nothing…. This mean 1900 is supposedly available now or will be shortly? Wasn’t Houston announced as a “live market” months ago? It appears that once these live markets are announced they’re done with the 3G rollout in that area. Which usually means there’s a few 3G towers that cover 15% – 25% of the area. That’s very lame. Is there any city anywhere that has *real* coverage – with 95% or more of the area covered? I doubt it because every “live market” that’s announced seems like it only covers a very few cherry-picked locations. I’m heading down to Atlanta next weekend. 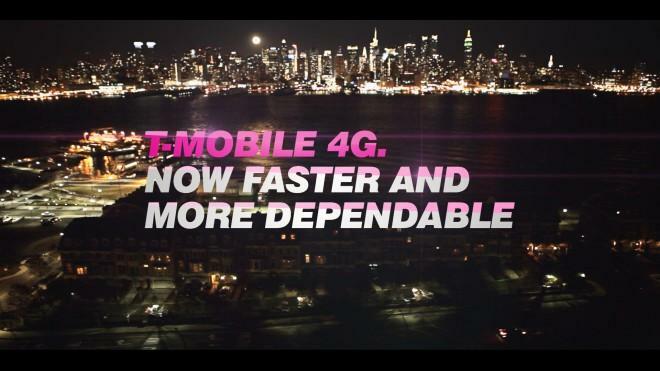 Can’t wait to finally see some T-Mobile 3G on my 4S. Still no sites refarmed yet here in Charlotte. I’ll be picking up an iPhone 5 once it’s finally done though. Before announcing the cities are lit up, Mr. Neville Ray should check with the T-mobile customers in these cities! I live in Rogers, MN (NW suburbs of Minneapolis) and all the way NW to St. Cloud – 45 miles there is no sight of a 3G signal! In Elk river North of Rogers there is a signal but inside the buildings it switches to Edge! Instead of making public announcements, Mr. Ray should ensure there is 3GT signal in cities they claim are refarmed. What a farce! As an iPhone 5 owner on T-mobile I am deeply disappointed with T-mobile. Neville Ray also said that they are announcing new cities at 75% completion. I think we just need to be a little patient. I think they’re moving rather quickly but believe me, I too wish the process went faster. Well if it were 75% complete then it wouldn’t be a problem. But most of these cities are announced when they’re only 20% complete or less. Other than a 8 mile stretch of the Mass. Pike – there is NO 3G anywhere to be found in the entire state. I drove from Hingham (south shore) up to Peabody and then up to Salem, NH. All major roads and some of the busiest most populated sections of the state. While driving I would regularly (every minute or two) check my phone for a 3G signal. Never saw it even ONCE – ANYWHERE. The coverage in Mass is an absolute embarrassment. So I actually ended up with the unlocked, international version of the HTC 8x and have been getting 3G and H+ around the Twin Cities (Minneapolis)… but it’s quite spotty. Still, this is very nice. Highest speed I clocked so far is 12Mbps down, which lets me do everything I’m willing to do on my phone, but like I said it’s hardly ubiquitous quite yet. I still only get EDGE inside my unit. I think I’ll be sticking around with Magenta for a while longer. Orange County down the coast from LA – NOTHING – NADA – ZERO…. I get a pathetic ‘E’ on my new iPhone 5 which is truly PATHETIC !!!! That’s a good sign. Now they just need some more towers down here and we’re set !! why do we need 1900 when apple is gonna add 1700 band to iphone in 2013..
for people that want to leave at&t but don’t want to buy a new phone, i hope that answered your question. Because there are lots of other devices besides the iPhone that are limited to 1900 MHz. Very few AT&T and international smartphones have 1700 MHz. Is there a list with all the refarmed cities available anywhere and updates regularly on the interwebs? ?